'Keeping the lights on' is an increasingly burning issue. 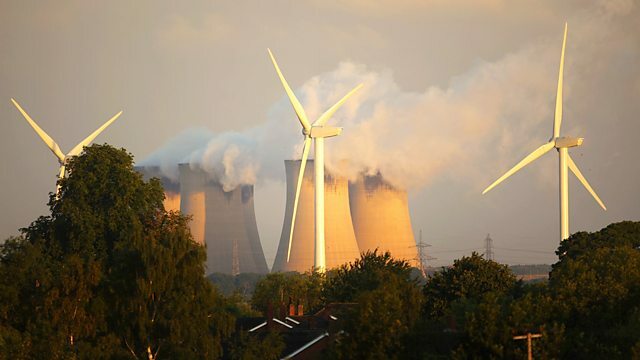 In 2012, the UK turned to coal, but six coal-fired power stations must close by 2015. Tom Heap asks how we fill the gap. Our energy needs are growing as our energy supply dwindles. Renewables have not come online quickly enough and we are increasingly reliant on expensive imported gas or cheap but dirty coal. Last year the UK burnt 50% more coal than in previous years but this helped reverse years of steadily declining carbon dioxide emissions. By 2015 6 coal fired power stations will close and the cost of burning coal will increase hugely due to the introduction of the carbon price floor. Shale gas and biomass have been suggested as quick and easy solutions but are they really sustainable, or cheap? Carbon Capture and Storage could make coal or gas cleaner and a new study suggests that with CCS bio energy could even decrease global warming. Yet CCS has stalled in the UK and the rest of Europe and the debate about the green credentials of biomass is intensifying. So what is really the best answer to Britain's energy needs? Tom Heap investigates.